Emerging technology is "a radically novel and relatively fast growing technology characterized by a certain degree of coherence persisting over time and with the potential to exert a considerable impact on the socio-economic domain(s) which is observed in terms of the composition of actors, institutions and patterns of interactions among those, along with the associated knowledge production processes.". Rotolo, D., Hicks, D., Martin, B. R. (2015) What is an emerging technology? Research Policy 44(10): 1827-1843. 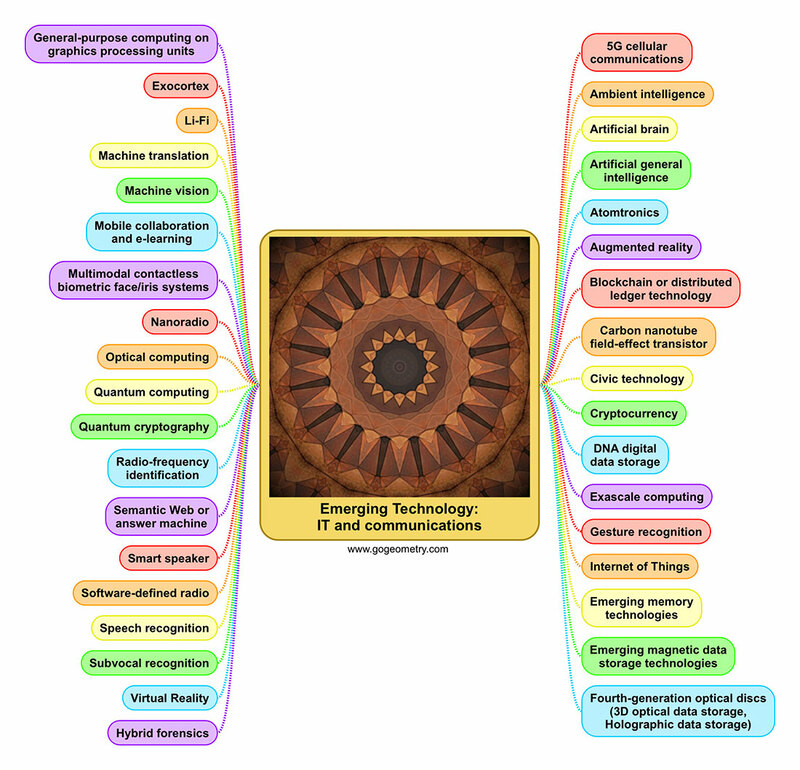 Mind map based on Wikipedia: Emerging Technologies and Wikipedia: List of emerging technologies as of February 10. 2019.